It’s lovely having a pub close to home with good food and friendly service. So when an evening rolled around and GG and I had done the food shopping and some other of those necessary domestic tasks and cooking was then low on the list of things we fancied doing, we headed around the corner to Ruby’s Restaurant at the Roundhouse Tavern. This was our second visit and on this occasion we both went for something of the steak persuasion. I went for the Grilled 300g scotch fillet which came with your choice of chips (which I went with) or mash and salad ($33). So I had a medium with pepper sauce on the way. And GG decided he’d tackle their surf and turf ($39). It didn’t take too long for our meals to arrive and I was pleasantly surprised with the size of the serve – generous amount of salad and also a decent amount of the pepper sauce – which was super tasty. I really enjoyed my meal. The steak was well cooked and the chips were hot and crispy. GG spoke equally as highly of his dinner. And its a man sized meal with all the mash, he wasn’t going to leave hungry. Second visit for us and I would go back for a third. 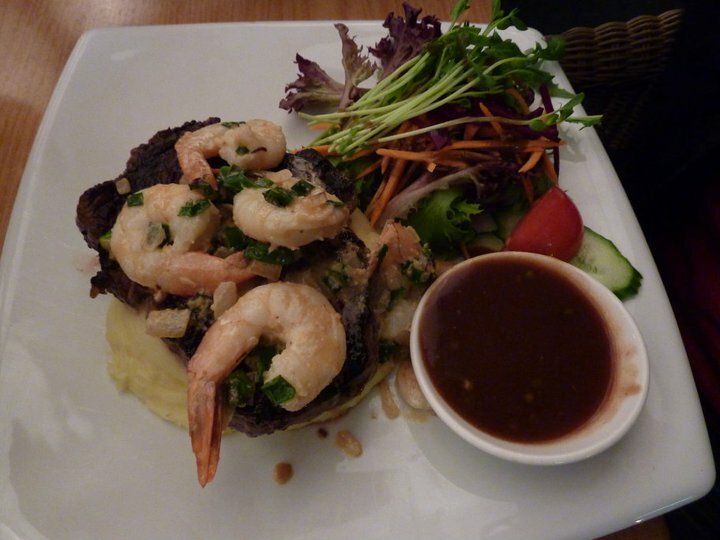 We had an Entertainment Book voucher on this visit – two for one mains – which makes for a pretty reasonably priced meal. 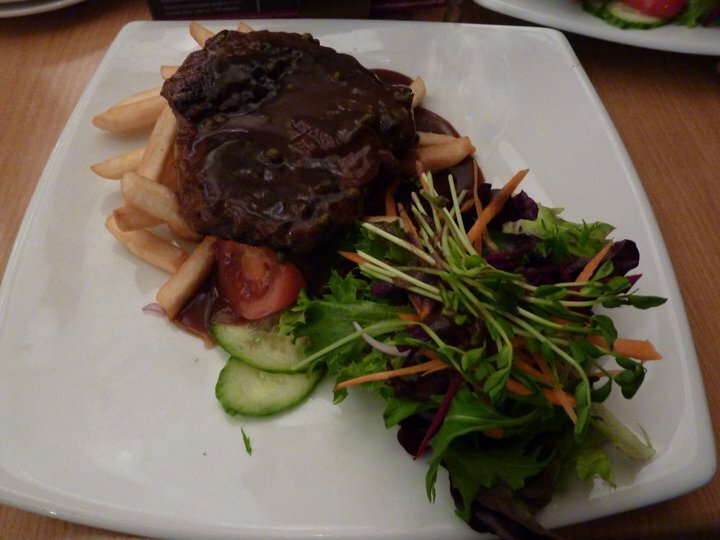 They also have $20 specials each night either fish and chips, steak and salad or lamb shank and mash. And along with this you also get a slice of the cheesecake of the day. So definitely a good deal, am keen to give that a go next time. If you live in the area and fancy a night off cooking – it’s friendly and local with tasty food. Worth a visit.